Unperfumed multi purpose liquid cleaner and terminal disinfectant. Formulated especially for use in the food and catering industry. Passes EN 1276, under dirty conditions at 1:25 with a 30 second contact time. • Cleans & disinfects in one operation. 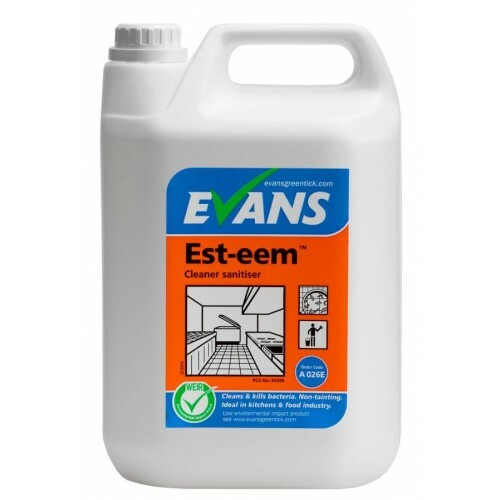 • Recommended for use on a variety of washable surfaces including worktops, cutting boards, tables, refrigerators, vending machines, kitchen equipment, shelves, floors & walls. 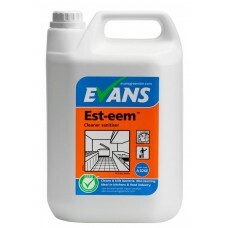 • Available in a Ready to Use formulation supplied in 750 ml trigger spray bottles. CLEANING & DISINFECTING HARD SURFACES & EQUIPMENT: Dilute 1:25 parts hot water (200 ml per 5 Litre or 30 ml to 750 ml) in a spray bottle. Spray onto surface & wipe with a clean cloth. Food contact surfaces must then be thoroughly rinsed with potable water. Allow surface to air dry. GENERAL CLEANING: Dilute 1:50 parts hot water (100 ml per 5 Litre or 90ml per 5 L). Mop or wipe surface. Allow to air dry.